Here are some facts about Ukraine. 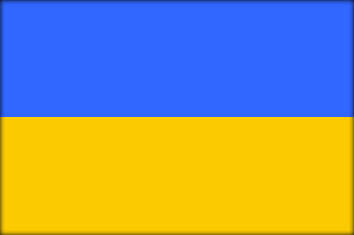 Ukraine, in Eastern Europe, is the largest European country, with a population of about 44 million. The country became independent after the breakup of the Soviet Union into smaller countries in 1991. Ukraine declared independence from Russia in 1918, after the Russian Revolution. However, in 1922, the country helped to create the USSR and it was one of the countries most devastated by World War II. The geographic centre of Europe is located in the Ukrainian town of Rahiv. It is located in the Carpathian Mountains and is also the highest town in the country. Much of the country is flat and used for farming. The eastern part of the country is more industrialized, and natural resources include coal, timber, oil and natural gas. Kiev, the capital, is known for its parks and gardens, and its World War II museum. The city also has one of the 10 busiest McDonald’s restaurants in the world. Kiev has the world’s deepest subway station, at a depth of 105 metres. The station is close to the Parliament building and is said to have secret tunnels for politicians. Sevastopol is the country’s second city and has always been an important naval base. Most streets in the city are named after Soviet military heroes and there are many statues. The Crimean peninsula has a population of almost 2 million and is its own state. The area was the scene of a dispute over land between Russia and Ukraine, in 2014. One of the world’s earliest constitutions was drawn up in Ukraine. In 1710, a Ukrainian citizen wrote a document to separate the responsibilities of the government and the ordinary people. Weaving is popular in Ukraine, and many people still hand make traditional costumes. The Museum of Decorative Folk Art is one of the country’s most popular museums.